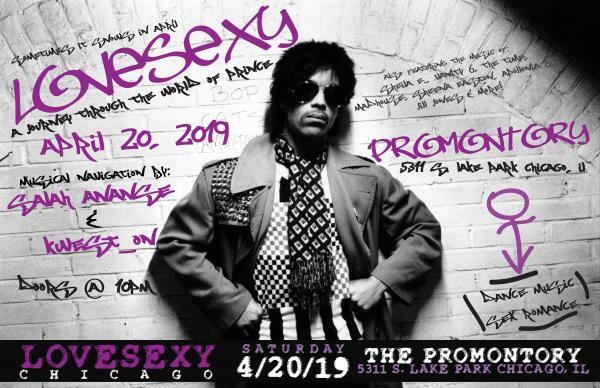 Creators and DJs Salah Ananse and Kwest_on are back in Chicago for their annual Prince Tribute party. This party has grown and gotten better since it came to Chicago 6 years ago, and this year will be right in line. We HIGHLY encourage everyone to wear your best Prince/Prince inspired clothing. Cover Notes: Early Bird = $5, G.A. = $10. But, Last minute tickets may go up to $15.